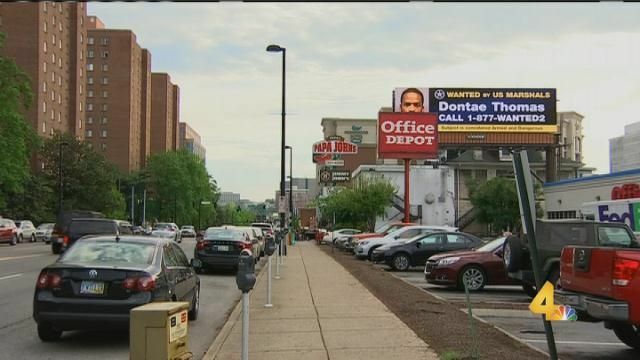 Billboards are everywhere in Nashville, and they are now being used to help catch criminals. Putting suspects’ faces on billboards is not a new practice, but it’s being used in Nashville more frequently. The three men profiled on the new billboards are Donte Thomas, Randolph Newsom and Damerial Jones. “All three are considered armed and dangerous,” Shelton said. Each one of them is charged with felon in possession of a firearm. All of them have been on the run for months and are believed to be in the Nashville area. “They are committing new crimes often when they are on the run. They are desperate, and desperate people commit desperate acts,” Shelton said. The reason investigators are using this tool is because they need the public’s help, which they say they are getting. “One particular case, a caller called in saying they thought they saw the individual. We contacted this individual. It wasn’t the person, but the person was actually wanted and was arrested by us, and wanted on Metro charges,” Shelton said. Anyone who sees these men is asked to call police. Shelton reminded people not to approach them because they are considered armed and dangerous.